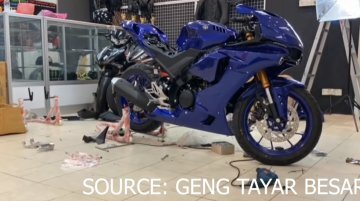 Indonesian motorcycle website Iwanbanaran seems to have published the images of the new Yamaha MT-25/MT-03. 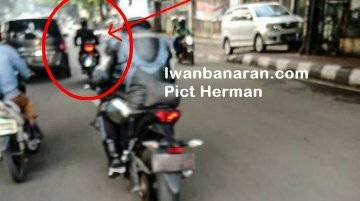 The spy image does not reveal a lot of details, but the person who captured the photograph.. 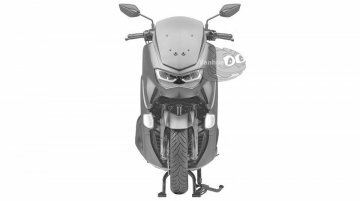 Leaked patent images have revealed the design of the 2019 Yamaha NMAX. The old model was showcased at Auto Expo 2016. 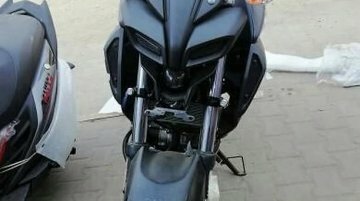 Moreover, a report from October last year claimed that Yamaha could bring the 155 ..
Yamaha has received the India Design Mark (I Mark) by the Indian Design Council this year for the YZF-R15 V3.0. 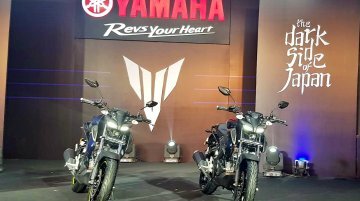 Previously, Yamaha has received the acknowledgement for its products like YZF-R15 V2.0..
Yamaha showcased its 2019 MT-03 at the Bangkok International Motor Show. 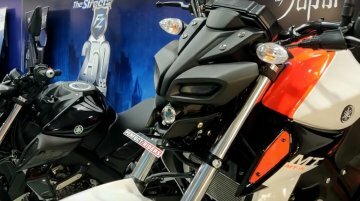 The MT-03 was seen in the new Ice Fluo colour option that Yamaha added to the motorcycle in 2019. The Ice Fluo colour comes.. 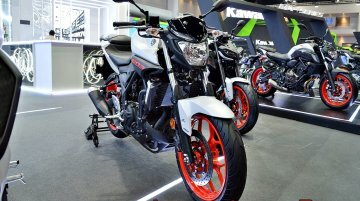 The Bangkok International Motor Show is currently underway, and manufacturers are displaying their products at the motoring event in Thailand. One of the many products displayed at the show is the.. 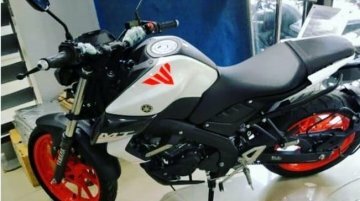 The new Yamaha MT-15 has started to arrive at the dealerships, and the test rides for the motorcycles have commenced at select outlets. 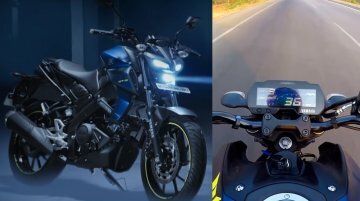 Also read: Yamaha MT-15 vs YZF-R15 V3.0 - Differences and..
India Yamaha Motors has unveiled the list of accessories for its newly launched naked roadster, the MT-15. 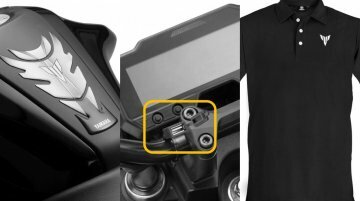 The list of accessories ranges from tank pad to mobile holder. 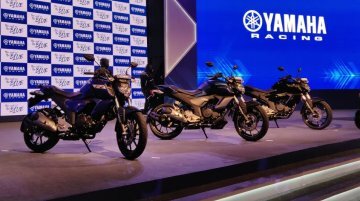 Check out the complete list of..
Yamaha Motor Company is optimistic about the Indian market. The Japanese brand expects India to overtake Indonesia to emerge as its largest base in terms of production output by 2024. 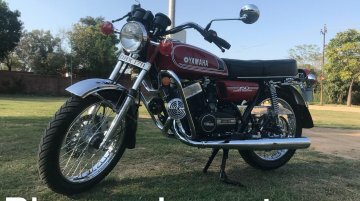 For reference,..
Prateek Khanna of Bluesmoke Customs is back with another neatly restored Yamaha RD350. 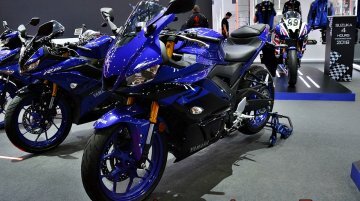 The motorcycle you see in the images is a 1986 model that has been renovated and upgraded with a disc brake at..
Yamaha has launched the MT-15 in India at an ex-showroom Delhi price tag of INR 1.36 lakh, which is a bit premium than what most had expected. 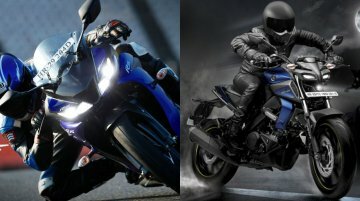 Another surprise element is the fitment of a..
Yamaha Motor India has launched the new MT-15 in India, and the motorcycle has been priced just INR 3,000 lower than its fully faired sibling, the YZF-R15 V3.0. 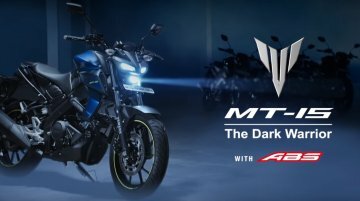 However, the differences between the..
After launching its newest product for the Indian market, the MT-15, Yamaha India has released the promotional of the motorcycle on YouTube. 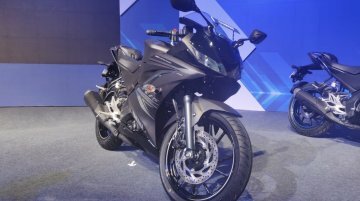 Also read: 7 useful official accessories launched for..
India Yamaha Motor has launched the new MT-15 at an ex-showroom Delhi price tag of INR 1.36 lakh. 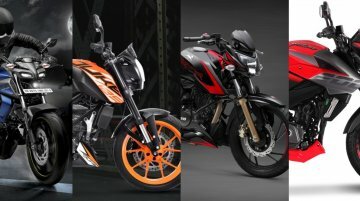 In comparison, its fully faired version, the YZF-R15 V3.0 ABS, retails for INR 1.39 lakh (ex-showroom..
After the YZF-R15 V3.0, India Yamaha Motor has extended its Darknight colour option to the scooter range. 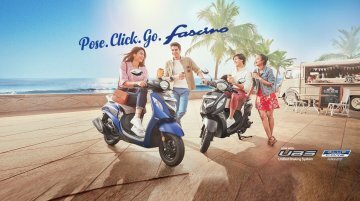 Yamaha has announced the launch of the Fascino Darknight Edition, priced at INR 56,790* – a..